We’ve moved the concert to Polson this year, made possible by the Anderson Broadcasting Charitable Foundation, the University of Montana Alumni Association, and Missoula Liquid Assets Corp as part of Summerfest on Flathead Lake. With their support and direction, August 12th is going to be the best Aber Day Reunion yet! While we can never re-create the Aber Day Kegger the way we all fondly remember it, we can harken back to it by bringing the Mission Mountain Wood band back for another year of fun, food, (refreshments) , and dancing. We are also excited to have Sam Riddle & His band all the way from Las Vegas, along with Montana act Andrea Harsell & Luna Roja. The event will be held at the Shoreline Amphitheater on Regatta rd. in Polson, Montana. Dry camping will be available above the event venue in the Fairgrounds. There is also a KOA Campground nearby, for which you will need reservations. We are so excited to bring you another year of Aber Day, this time at a brand new venue. Mark your calendars for August 12th, Ticket information will be available soon. Here’s a map to show you where to go. Cheers! 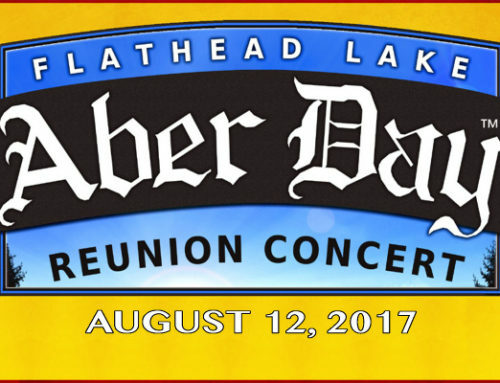 The Aber Day Reunion will be held on August 12, 2017. Summit Beverage is going to be selling a variety of beers at the event!